Successfully Added DOOGEE S80 Lite IP68 10080mAh Octa-Core Smartphone 5.99-Inch FHD Screen 4GB RAM+64GB ROM 13MP+8MP Camera Touch ID NFC 4G Orange to your Shopping Cart. The 5.99-inch display provides immersive visual experience when watching TV or Playing game. Built-in polymer large capacity battery with 10080mAh, you can use for a long time. 4GB RAM + 64GB ROM, guarantee enough space for storing your songs, apps, data etc. 13MP+8MP dual cameras capture every wonderful moment in your life. Housing a high-end 13.0MP SONY IMX135 rear camera with stacked CMOS and fast PDAF, S80 Lite accurately restores the rich details and colors of the scene. Meanwhile, it matches an 8.0MP depth of field lens to create more stunning nightscape and beautiful portrait even in low-light. S80 Lite driven by the strong Helio P23 octa-core processor with low energy consumption, high frequency of up to 2.5GHz and developed 16nm process Supreme processor enables smoother applications running and more rapid tasks response. Carrying powerful GPU and large 4GB RAM, S80 Lite features great capability in motion compensation technology, image quality enhancement and dark light processing. This professional device outstandingly achieves unhindered and unspotted performance to set you free in the new world. 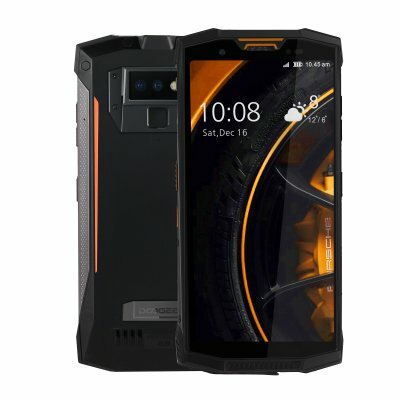 Differing from the previous models, S80 Lite is an advanced Full Netcorn rugged phone. It amazingly supports global network frequencies with broader coverage than iPhone's. With one powerful rugged phone in hand, S80 Lite fulfills your desire to travel around the world. S80 Lite brings the latest Android 8.1 Oreo system with practical software pack and complete positioning sensors to help you walk further. In order to ensure the call clarity and volume, S80 Lite is well equipped with two superior speakers on the rear bottom corners. There is no need to worry about the soundness although in the noisy areas.